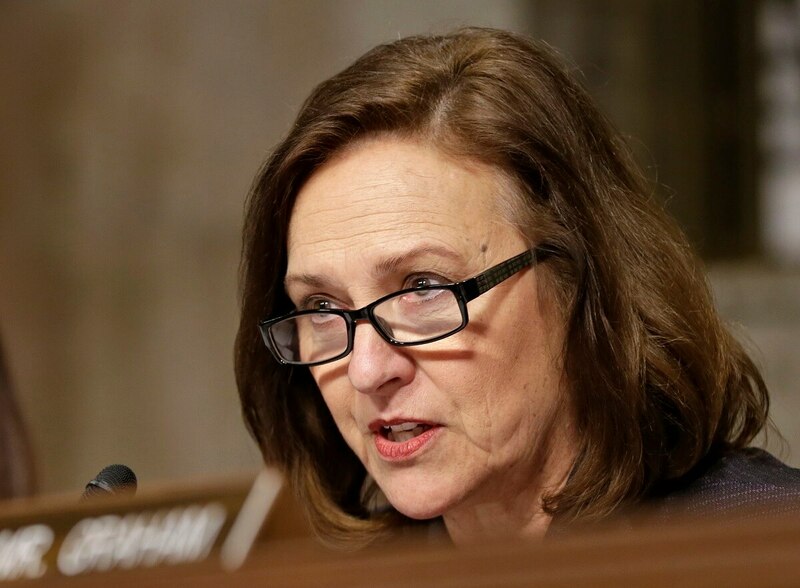 WASHINGTON — Nebraska Republican Sen. Deb Fischer, as chair of the Senate Armed Services Strategic Forces Subcommittee, oversees a national security portfolio that has commanded plenty of headlines in recent months: America’s nuclear arsenal, ballistic missile defense, national security space programs, and the Department of Energy’s national security programs. And some major news overtook this March 11 interview. President Donald Trump has since fired Secretary of State Rex Tillerson, which bears on denuclearization talks with North Korea, and Trump made remarks favoring a military ‘space force,’ to cover the next frontier in warfare. For the 2019 defense policy bill the armed services committees are drafting now, the National Defense Authorization Act, what’s coming from your subcommittee? My number one priority is nuclear modernization, and to make sure that we stay on that path. I don’t think we have room to postpone anything. We need to move ahead. I’ve asked different folks within the [Defense] Department, ‘Is there any way we can speed it up?’ And they are comfortable with where we’re at. But they also agree that we need to keep on schedule and cannot risk, really, any more delays. You and Indiana Democratic Sen. Joe Donnelly, the ranking member of your subcommittee, met with Deputy Secretary of Defense Patrick Shanahan recently. What did you learn in that conversation? I am in agreement with where he is on a lot of this because I think he fully understands the importance of being able to stay on track with nuclear modernization. We visited quite a bit about the Nuclear Posture Review which I think is a good document. There’s really not too much new in there. It’s maybe put a little more forcefully than the Obama administration did. That might have surprised some of my colleagues, who are taking more of an interest in our subcommittee’s work. House Armed Services Strategic Forces Subcommittee Chair Mike Rogers and Ranking Member Jim Cooper have suggested Mr. Shannahan is friendly to a space corps. Did that come up? I wouldn’t say he is more friendly to a space corps. I think the deputy secretary fully understands one of the main challenges that he is facing on space is through acquisition. And that’s not going to be answered by forming a space corps. While I believe he’s serious about the space program and what’s needed, I didn’t get the feeling that it extends into forming a separate space for him. And your position hasn’t changed, that on space corps, you’re not convinced? I think it’s handled well within the Air Force. I have visited with the [Air Force] secretary about that, Heather Wilson, and she believes it’s handled within her purview as well. Something we’ve heard discussed is the pursuit of small satellites that are cheap and redundant instead of all-encompassing, large satellites, which make for more attractive targets. What are your thoughts? We always have to look for the best way to meet the needs that we have, and obviously we’re also going to have to defend against our peer adversaries who are out there. Space is a domain where we face a lot of challenges. And so yes, I am concerned about being able to protect the assets we have. The Nuclear Posture Review favorably compares the cost of upgrading the nuclear arsenal to the Cold War, but there’s the CBO estimate of more than $1 trillion dollars. How does it all get paid for? The Nuclear Posture Review outlines well the need to keep our triad as a priority, and that depends on maintaining the nuclear modernization program that we’re on. When you lay out, especially the low-yield capabilities that we have or don’t have and compare that to what the Chinese and the Russians are doing; when you lay out [Russian President Vladimir] Putin’s blatant talk, especially lately, on what their capabilities are; when you lay out the doctrine that they have put forward in Russia, the ‘escalate to deescalate,’ I think [that] really shows the need to keep our priority on our nuclear capabilities. We have had every president, we’ve had every combatant commander at [U.S. Strategic Command], say that our triad is the bedrock of our national security. Do we have the funding to take care of it all? No, not right now, but that doesn’t mean we should fall behind given where we’re at in making sure that we meet the needs that are there. The Department of Energy has plutonium and uranium programs to keep on schedule, and an argument can be made that we’re falling behind there as well. Look at the whole nuclear enterprise, whether it’s with the Department of Defense or Department of Energy, with our platforms — and that also includes missile defense as well; we have to decide how to continue to meet those needs. Does it mean cutting other programs? I think what you saw was a commitment by by this Congress that the military is going to be funded, and it will be across the board. We really did not match defense and non-defense discretionary spending dollar-for-dollar [as Democrats sought]. That was appropriate because national defense is the number one priority for us in Congress. We take an oath to that. Are there any programs that you’re specifically concerned about in terms of being on time and on budget? I would say the programs under my subcommittee, they’re on schedule. But when you look at the Department of Defense, I think one of the main concerns obviously is with readiness, and troop readiness; making sure that they have the training they need. That’s also the Department of Energy, where 40 percent of the operating budget is tied to the nuclear enterprise. Missile defense: Recently U.S. Northern Command’s chief, Gen. Lori Robinson, was before the committee, and you asked if she was confident America’s Ground-based Midcourse Defense could defend against a North Korean intercontinental ballistic missile. Are you confident? I think she said she was very confident, and I take her at her word. So I am very confident as well. 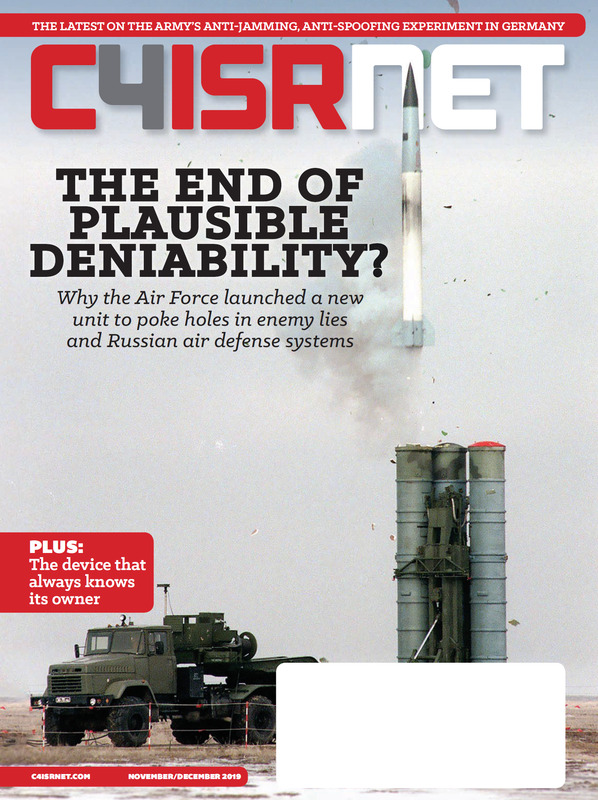 For missile defense, what’s does the priority need to be, as far as improvements? We made some changes last year, recommendations in NDAA especially in the Alaska site, to go up to 60 shooters there. There continues to be talk of a third site, which I think can be put on hold for a little bit while we try to bolster the site in Alaska. But that’s going to continue to be in discussion, especially as we watch what the Iranians do. There’s talk about boost-phase intercept, improving missile quality, the reliability of ballistic missile defense. What’s a priority for you? How about all of it? I smile when I say it, but I’m being serious. You’re talking about the defense of the homeland and that needs to be our number one priority. We have to know that the mechanisms we have in place are going to work, that they’re going to be secure. One of DoD’s strong recommendations is to continue with the space-based sensors. It’s important to have reliability to know what’s coming in. I’m supportive of that. What was your reaction to Mr. Putin’s announcement on Russian television that they’re working on an invincible weapon? Beyond Russia, hypersonics has been a pretty hot topic for China as well. My first reaction as he’s up for election and wants to of course have 100 percent of the vote, not just 99 percent. So that’s his way of gaining attention back home. Secondly, we we need to be concerned about what the Russians are doing. We need to be concerned about what China is doing as well. Both of them will continue to work on their nuclear enterprise, whether it’s low-yield weapons or the platforms that deliver these these weapons. And we have to be able to defend against that and have a deterrent. 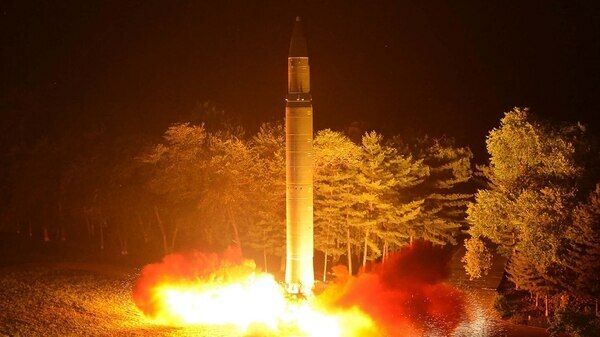 The Nuclear Posture Review recommendations, for example, a sea-launched cruise missile. To deter their low grade weapons, I think it’s extremely important. And we have to defend against it. The flip side of that of that argument is that it’s fueling an arms race, that there is no such thing as low-yield or small-ball nuclear war. Once you launch nuclear weapons, it’s going to escalate quickly. What do you say to that? I have heard that criticism and I do not adhere to that line of thought. If you listen to any of our public hearings, you will hear me always question about the Russian ‘escalate to deescalate’ doctrine. The experts all say that is exactly what the Russians believe, that the United States will back down. We have no deterrence if that’s what the Russians believe, that if they use a low-yield nuclear nuclear warhead, that we will back down. I agree with [Defense] Secretary [Jim] Mattis. He has made it abundantly clear that we must have these low-yield weapons if we are going to deter the Russians. They need to understand that we will use the capabilities that we have. That is the only way that you have a deterrence, and that’s really the only way you forestall any use of those weapons. As far as the cost to add capability on top of modernization, will there be a reckoning at some point? How much risk to this country are you willing to accept? That should be the question. My first duty is for the security of the United States. I take that very seriously. So when people say to me it costs too much, I would say, what is the cost if we don’t? The president is open to talks with Kim Jong Un, but the president has shown himself to be pretty combustible and improvisational, and he’s a relative newcomer to diplomacy. Are you confident that he can sit down with Kim and is this the right way to go? I believe the president means what he says. I would say with our adversaries and our friends alike, they by now shouldn’t question that. We’ll wait to see what happens with the meetings with North Korea. House Armed Services Chairman Mac Thornberry recently raised the possibility that Russia could intervene in the defense spending conversation here. He pointed to Russia’s aid to American non-proliferation groups in the 1970s and 1980s. Do you have any concerns along those lines? Just as a general statement, all of us are aware of Russian interference, and the influence that can have. The way social media works nowadays anybody can put out a statement and can get 100,000 retweets and it can be totally incorrect. And by the time the person corrects it, or the news organization corrects it, or a congressional committee corrects it, that gets like three retweets. So I worry about misinformation traveling at the speed of light, on anything and by anyone. Do you expect the committee, in this next NDAA, is going to address Russia in some specific ways — to send a message to Russia particularly around the election interference? I don’t think that’s necessarily the main charge for the Senate Armed Services Committee. What I want to see addressed with Russia is making sure that we have the proper defenses, the proper deterrent, the readiness that we need to continue to engage in what has become a great power struggle once again. We ended the Cold War but we are back into great power competition, and the public needs to understand that as well.